St. John Mary Vianney Day, the Patron Saint of the Diocesan Preists, was celebrated in Miao Diocese on 4th August at Christ the King Parish, Khonsa. Speaking on the occasion, Bishop Gorge, echoing the thought of Pope Francis, asked the faithful gathered to challenge the Priests to be fully Priests. 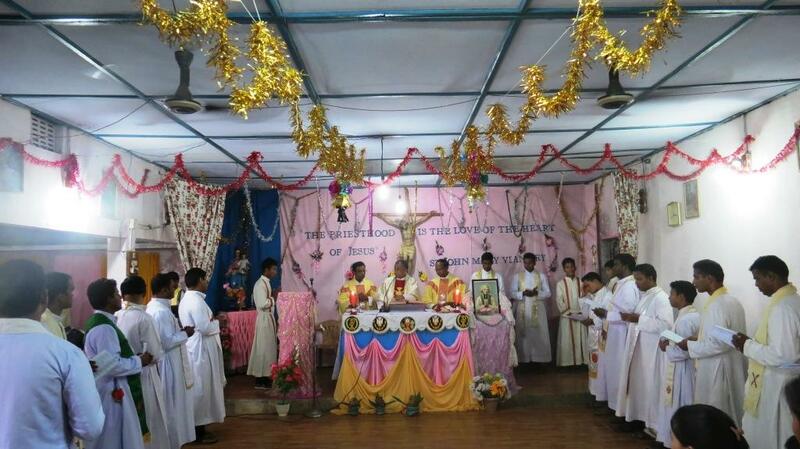 He said, “Challenge does not mean disobedience in the school and hostels or non-co-operation in the Parish works. You should challenge the Priests when they fail to be fully Priests. They have a certain responsibility that comes with their call to holiness, charity and sanctity and you should challenge them when they fail to be what they supposed to be. I repeat your challenge does not mean disobedience in the school and hostels or non-co-operation in the Parish works but challenge the Priests to be fully Priests everyday. The Diocesan Priests gathered at Christ the King, Khonsa Parish, also reflected on the theme of the Dignity of Priesthood. Quoting Saints Catherine of Sienna and John Mary Vianney, Fr. PT Geogre invited all the Priests to remember always the great power and responsibility that comes with being Priests. “We all are Doctors who has been given the power to heal the hearts of the penitent at Confession. We all need that conversion today to live our Priestly life with full dignity,” he said. 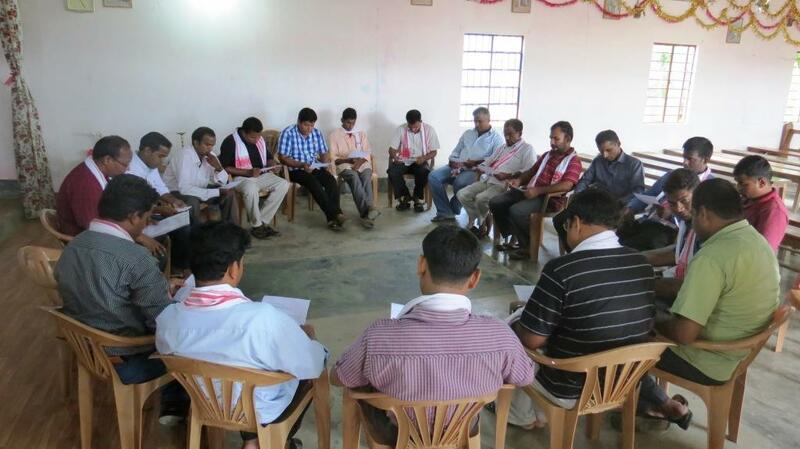 The group discussion on the theme helped the Priests reflect better. 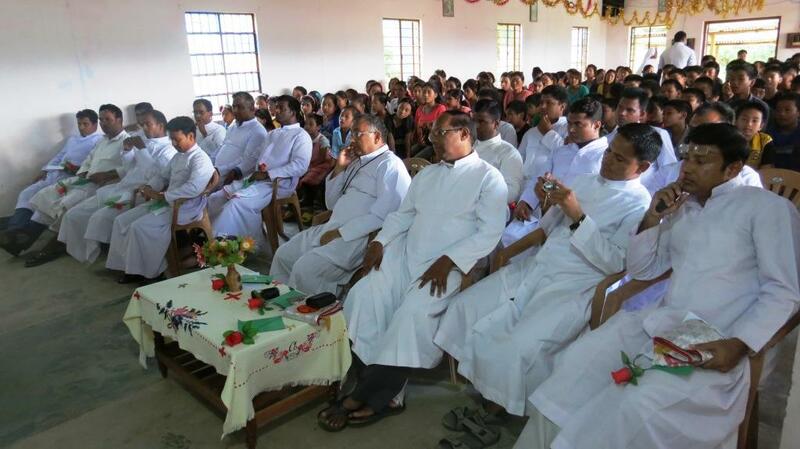 The Parishioners and the teachers had arranged a good cultural programme for the Priests gathered for the ocassion.